A good start in half the work. Preparing for your journey back in time means setting up your emulators. Here we'll show you how to setup RetroPie so you'll have access to every emulator you can possibily think of. What kind of hardware do you need to finish the job? What is hardware without software? Unzip the downloaded RetroPie project SD card image with and extraction program. Remove the SD card from your laptop or pc. Insert SD card you just flashed into your Raspberry Pi. Plug one of your controllers and your keyboard into your Raspberry Pi. Plugin the HDMI cable into your Raspberry Pi. Plugin the power supply into your Raspberry Pi. You're pocket sized time machine is almost done. Now that you've dealt with the setup of RetroPie, it's time to transfer your favorite ROMs to your Raspberry Pi. There are multiple ways, but we're going to show you two methods: Transferring ROMs via a USB stick and transferring ROMs via SCP. Insert the USB stick in your computer. Make sure that your USB is formatted to FAT32. Create a folder called retropie on your USB stick. Plug your USB stick in your Raspberry Pi and wait for your USB stick to stop blinking (If your USB doesn't have a light just wait 5minutes to be sure). Take your USB stick out of your Raspberry Pi and plug it into your computer. 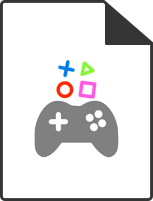 Add the ROMs to their respective folders(in the retropie/roms folder on your USB stick). Plug your USB from your Raspberry Pi. Remove your USB from your Raspberry Pi. Refresh emulationstation by pressing F4 and typing in emulationstation, or choose quit from the start menu. In this section we will provide the various download links you'll need to install to get the best out our products. 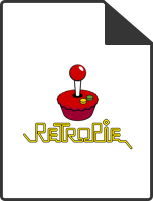 Download the custom RetroPie image. This image will make your buttons on your Super Kuma 9000 functional with RetroPie as your emulator. 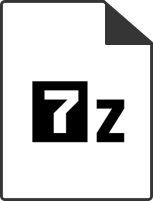 Download Etcher if you need to flash your sd card and download 7-Zip for the unzipping of packages. 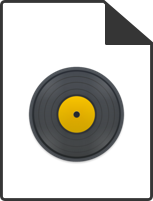 Custom RecalBox Image. This image will make your buttons on your Super Kuma 9000 functional with RecalBox as your emulator.